EVE Valkyrie already has quite a history, even though the game itself haven't been released yet. It all started as a technological demo for Oculus Rift virtual reality headset presented on Fanfest 2013. A small crew of CCP employees have used existing EVE Online assets, imported them to Unity3D engine and created "EVE VR". Players who've tried it on Fanfest were so amazed, that the going question was "When can we have this?" It only took a few months for CCP to come up with a business case for that demo, and on August the 21st CCP has confirmed that EVE VR will be released as a full game in 2014. The name "EVE VR" was also extended into "EVE Valkyrie". The remaining question, deliberately not answered by the devs is what platforms will this game run on. Some players have already tried answering that question. It's not a secret that CCP cooperates heavily with Sony, so the first rumour was that Valkyrie might come to PS4 - you can read the entire Abaddon21's post here. Recently something else came to my attention. Some time ago toucharcade.com has published this story about CCP planning a mobile release. We've already heard of DUST514 companion app called "Neocom" scheduled for release on Playstation Vita, but from the story above we can guess that there is possibly more mobile apps to come from CCP. Could Valkyrie possibly be one of those apps? To answer this question, first we need to answer another one: if it's technically feasible at all. But can mobile hardware handle it? Okay, so Unity 3D is ready and available. But can mobile devices handle a game with visuals like that? Judging by the above screens, I'm pretty certain that Planetary Interaction could easily be made into a separate tablet game in the world of EVE. Ok, what about the software? We've mentioned Unity3D, which is a multiplatform 3D game engine that can run on 10 different platforms. The very basic version, which includes mobile device support, has the advantage of being free. There is already a bunch of games for Android and iOS made with Unity, for example Shadowgun or AngryBots. It's also worth mentioning that there are some well-known PC games running on Unity, I'm sure you've heard of Hearthstone and Kerbal Space Program? Games built with multi-platform engines can be easily ported to any supported platform without additional development (well, the resources sometimes have to be converted/resized, but that's all). It's worth mentioning that Unreal engine used by DUST514 also works on mobile devices (Infinity Blade I, II & III all run on this engine). And then we have CREST, which is a new read-write API for EVE Online; one that is already used (in-house) by DUST-EVE integration. We could also mention some tech demos, for example the Alliance Tournament CREST endpoint, that provided live telemetry of Alliance Tournament ships. The amount of possibilities these kind of tools give is unprecedented. Not only we will have many new 3rd party apps for EVE and DUST, but it also opens a lot of opportunities for CCP themselves. As you can see, both the technology and assets to make EVE-themed games for different platforms is already available. Whether CCP acts based on the above facts or not, remains to be seen. Maybe Valkyrie will become a mobile game after all? 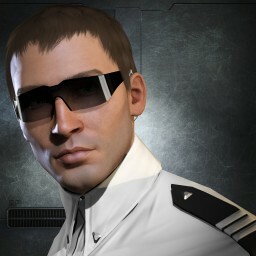 Xander Phoena: So you are now currently leading the fledging Mobile division within CCP and the Valkyrie project. Which is taking most of your time at the moment? As one prioritized? CCP_Unifex: Yeah absolutely, I mean, right now I've had the opportunity to work with Valkyrie so I'm spending the vast majority of my time doing that. And I had some good time, pretty much straight off the Fanfest where I was able to look at CCP strategy around mobile and got some good work done around that, and then Valkyrie kicked off [...] But the intention is like I said I'm gonna be handing over, so that I can actually go focus on Mobile. As you can see, Valkyrie and Mobile are two different projects within CCP. That doesn't change most of the post below, because it's about technical possibilities, rather than only about Valkyrie. PS. Thanks @valkrr for the heads up!